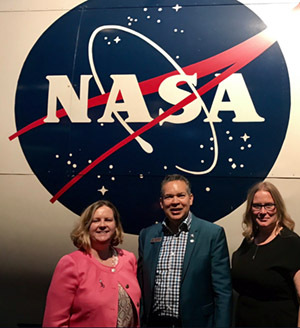 These first weeks as ASTC’s new President and CEO have been an exciting time of forging new connections, listening, learning, and hearing ideas for the future from ASTC’s staff, members, and partners. In the few short weeks that I have been aboard, my days have been filled to the brim with inspiration and forward action. Today I want to pause for just a second, share with you an overview of my activities thus far, and offer you a few opportunities for engagement and connection with the ASTC team and me in the weeks and months ahead. Advocate for strong U.S. Federal investment in science education and museums, and more. I’m tremendously appreciative of the thoughtful leadership transition spearheaded by the ASTC Board of Directors—their support has let me hit the ground running. 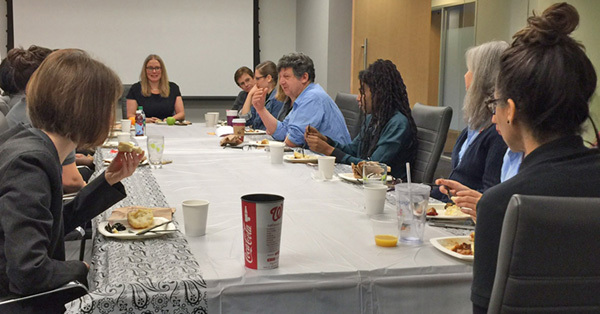 As I shared as I stepped into my role in late January, in the months ahead ASTC will be hosting a wide-reaching listening and strategic-planning process for ASTC’s future. Be on the lookout for more announcements about this process, as we will be opening up several opportunities for you to participate over the coming months. As an early part of this engagement and planning work, next week ASTC will convene a joint meeting of our Board of Directors, Conference Program Planning Committee, and Leadership and Field Development Committee at the Connecticut Science Center, host of the 2018 ASTC Annual Conference. During this meeting, representatives from a wide variety of types and sizes of science centers and museums from across the globe will talk about opportunities to further support the future success of ASTC members through our Annual Conference and related activities. The following week, on February 26–27, our staff will join many ASTC members and our partner museum-service organizations for the AAM-led Museums Advocacy Day on Capitol Hill in Washington, D.C. I’ll be speaking on U.S. Federal funding for science, technology, engineering, and mathematics (STEM)—as well as the imperative for ASTC, its members, and the communities they serve to speak out loudly for science and informal STEM learning. As I mentioned in my recent ASTC on Air interview, I am deeply committed to the promise of civic participation and participatory government, and I am encouraged by ASTC members’ ongoing efforts to foster engagement with—and support for—science among their stakeholders and with their elected representatives. Following the Museums Advocacy Day activities, the ASTC staff and I will host an ASTC Open House on February 28 in our office in Washington, D.C. Join us between 8:30 and 10:30 a.m. for coffee with me—or come by any time until 5:30 p.m. to tour the space, talk with ASTC staff, or just get some work done or relax between museums visits or before traveling home. I hope you can drop by and join us! Cristin Dorgelo is ASTC’s president and CEO. Follow her on Twitter at @cristindorgelo.